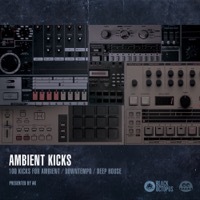 Please Note: Requires NI Maschine 1.8.2 or 2.10 + for Maschine Projects. 5Pin Media ups the ante with Histibe to bring you a maginificent set of Deep, Dark, Tech infused Dubstep Breaks, ranging from Mesmerising Ambient Twisters to High Impact Window Rattlers. Buckle up and hold on tight fellow beatheadz, the frontier smashing Histibe is going to take you on a cross-genre white knuckle ride into the future in his rhythmic time capsule! 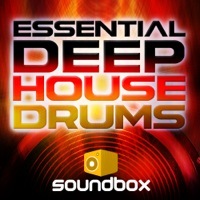 Designed for both producers and DJs alike the sounds and MIDI are arranged across 13 drum kits with 12 patterns per kit, all clearly labelled for quick and easy access. 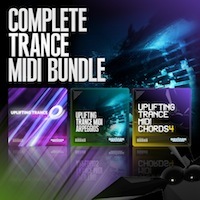 Each kit is ready for laying down a full production backing track or to use as a mix tool when DJing. To make the combination of patterns to sounds virtually endless the kits and MIDI have all been mapped consistently and as close to the 5Pin Extended GM Drum standard as possible allowing for the playing of any kit with any of the MIDI files. NI MASCHINE 1.8 & 2.0 users are presented with 13 5Pin Media Tagged Maschine Projects complete with labelled patterns ready for your productions or live DJ sets. 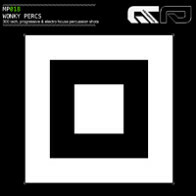 Ableton Live 8 and above users are presented with a Live Project containing 13 drum racks and 156 labelled MIDI files ready for your productions or live DJ sets. 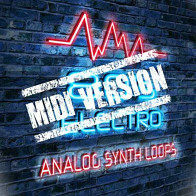 Included Formats: Live 8 Drum Racks, Maschine, Kontakt 3, Battery 4, NNXT, EXS24, Halion, SFZ and MIDI. 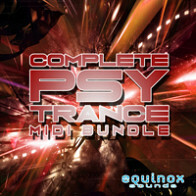 As an added bonus we have also included all the audio WAV files (Xtra-Drums, Bass, Synths,Vox and FX) from the featured demo track comprising 25 WAV files. 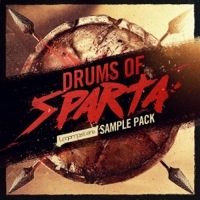 - Soft Sampler Formats: Live8 Drum Racks, Kontakt3, Battery3, NNXT, EXS24, Halion and SFZ. 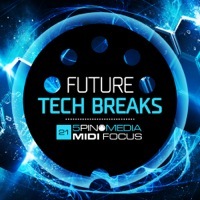 The Following End User License Agreement is included with MIDI Focus - Future Tech Breaks. This License is only valid for the individual who has purchased an unopened, new and lawfully made copy of MIDI Focus - Future Tech Breaks from a dealer or distributor authorized by Big Fish Audio. "The End User Licence Agreement The Sounds and Midi files remain the property of its manufacturer 5PIN MEDIA, (Collectively, “Licensor”) and are licensed to you as the original end-user (“Licensee”), for use subject to the provisions below. All rights not expressly granted herein are reserved exclusively by Licensor. 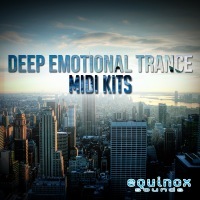 The Sounds and Midi Files in a category of ‘Mixed Media Sample Pack’: 1. The Licensee may use the Sounds and Midi Files in combination with other content in music productions (which include soundtracks of such as films, video productions, radio/TV programs or commercials, computer games and multimedia presentations, library music), public performances, and other reasonable musical purposes within musical compositions. 2. The Licensee may modify the Sounds and Midi Files and may use them for commercial purposes as part of a musical composition with other sounds. 3. The Licensee MAY NOT use the Sounds and Midi files in isolation as sound effects (i.e. a sequence of musical events) or within any competitive products that are sold or relicensed to multiple third parties. In these scenarios the Licensee must arrange an extension with 5PIN MEDIA. A right to use the sounds is granted only to the Licensee and is NOT transferable. 4. This license expressly forbids resale, relicensing or other distribution of the Sounds and Midi Files, either as they exist or any modification thereof. You cannot sell, loan, rent, lease, assign, upload to or download from any server, or transfer all or any of the enclosed sounds to another user, or for use in any competitive product. 5. Licensor will not be responsible if the Sounds and Midi Files do not fit the particular purpose of the Licensee. " COPYRIGHT/LICENSING NOTICE : All Rights not expressly granted to the user are reserved. 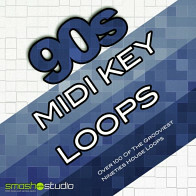 The sounds samples and Midi files in this sample pack are licensed, not sold, to you to be reproduced within your original musical compositions only. All copying, lending, duplicating, re-selling or trading of this product or its content is strictly prohibited. Only the original purchaser of this product has the right to embody and reproduce the enclosed sounds and Midi files within their music compositions. The Licensee may use the Sounds and Midi files in combination with other sounds in music productions (which include soundtracks of such as films, video productions, radio/TV programs or commercials, computer games and multimedia presentations, library music), public performances, and other reasonable musical purposes within musical compositions.The Licensee MAY NOT use the Sounds and Midi Files in isolation as sound effects (i.e. a sequence of musical events) or within any competitive products that are sold or relicensed to multiple third parties. In these scenarios the Licensee must arrange an extension with 5PIN MEDIA. This license is granted for a single user only (and is given on a worldwide basis). The license is non-exclusive and is granted for the full period of copyright protection and sounds and Midi Files. You cannot electronically transfer the sounds and Midi files or place them in a time -sharing or service bureau operation or a computer/sampler network. Opening or using this product constitutes your acceptance of these terms.""